There's very few stocks that I see setting up (on the long side), that's worthy of a trade. I do see a great deal of shorts setting up and stocks that are, in my opinion, over extended. For those that have followed me extensively; I am a proponent of trading in the direction of the overall market. As of current; while I do believe the market itself is venturing into over extended territory; it has yet to give a clear 'sell' signal. I've written and 'youtubed' extensively on where I believe the market will top out. Read here for starters. 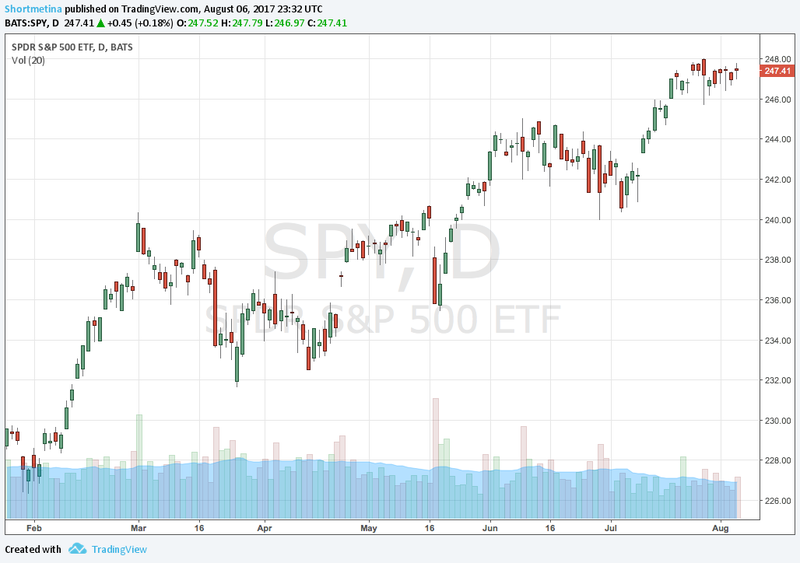 I say all of this to say; my major focus is on the overall markets' (the SPY in particular). 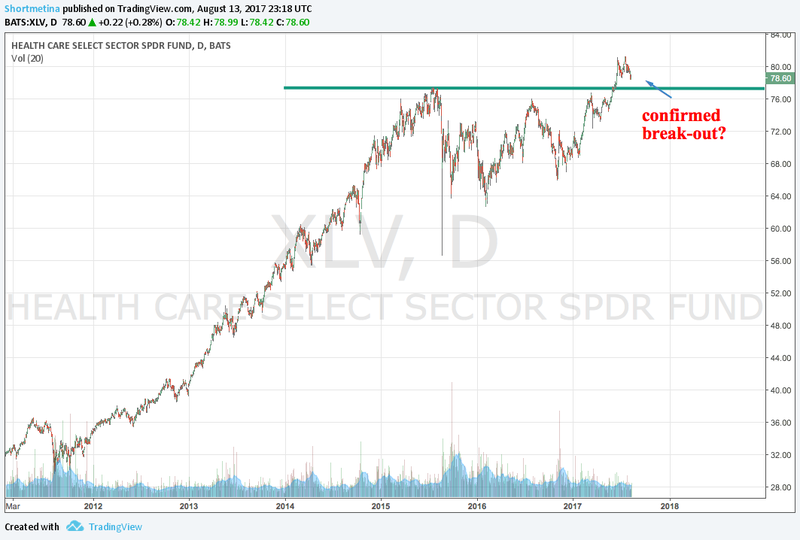 Retail is either setting itself up as a buying opportunity; or a disastrous break-down. 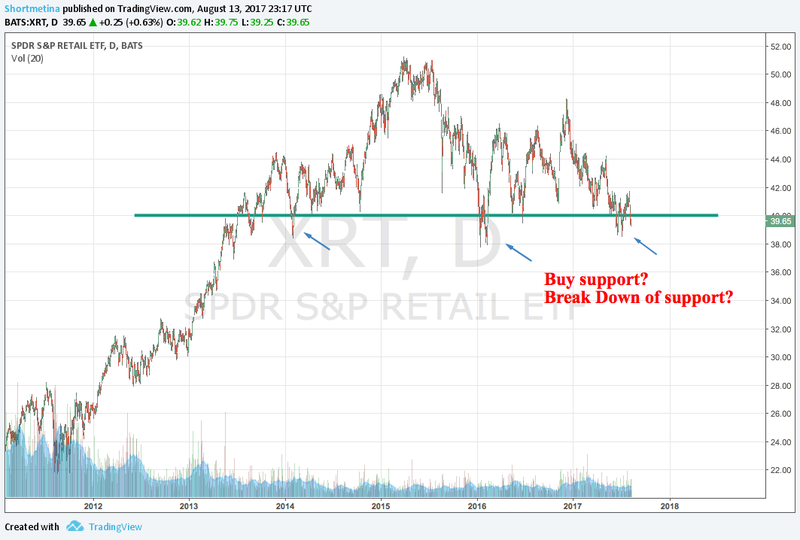 Are you buying support or shorting the break down in the retail sector? Should we pay attention to Health Care stocks? Looks like a confirmed break out. But will it hold?